Simply perfect. 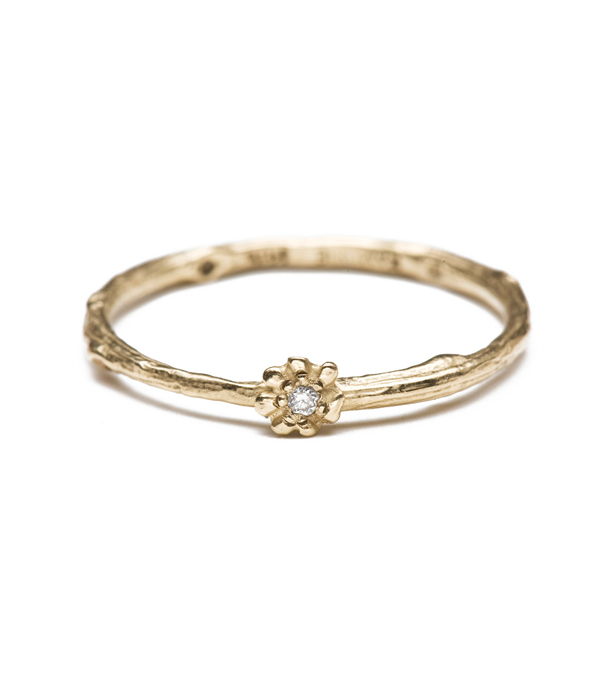 Our 14K gold twig textured stack ring never fails to charm us with its dainty details. 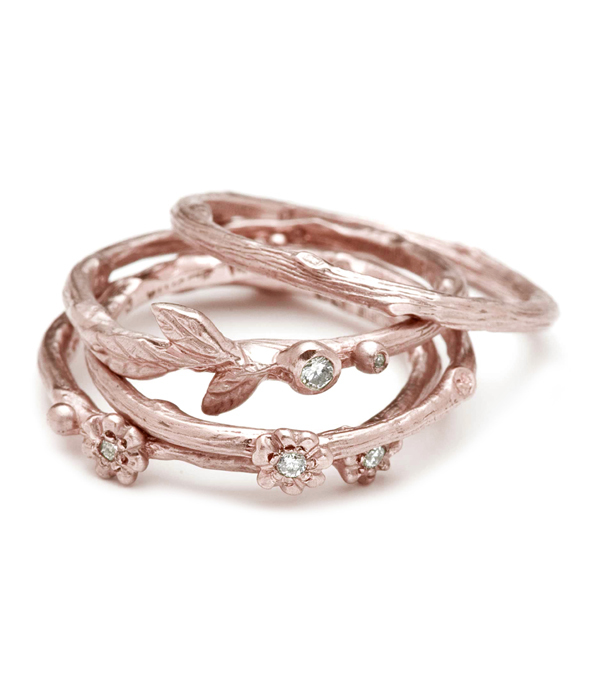 A solid gold branch is accented with one petite daisy and diamond (0.01 ct) center. Band thickness measure approximately 1.5mm. Ideal for stacking, also adorable on its own. Categories: Earth and Sky, For the Bridesmaids, For the New Mom, Holiday, Rings, Stacking Bands, Stacking Rings, Under 500, Women's Wedding Bands.